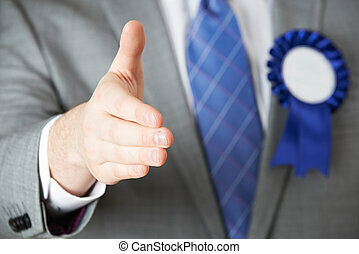 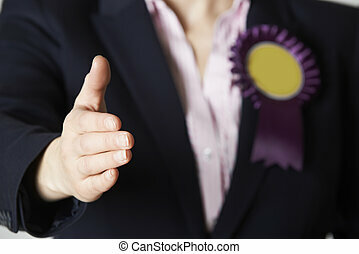 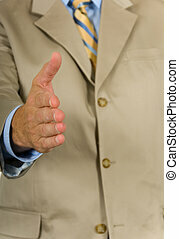 Businesspeople, a man and woman in jackets, shaking hands to conclude a business arrangement, in partnership, greeting or congratulations, close up view of their hands over white. 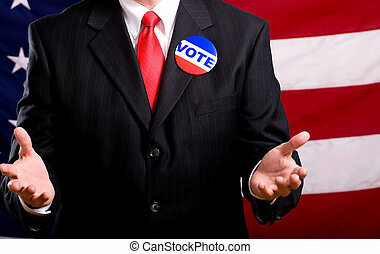 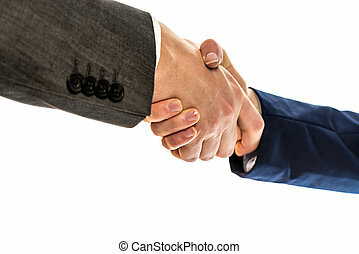 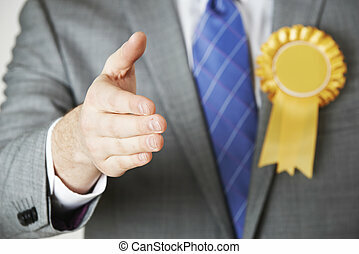 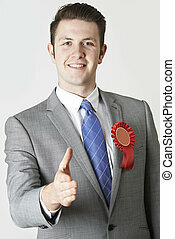 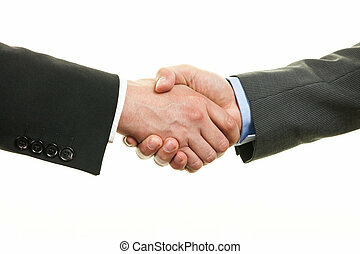 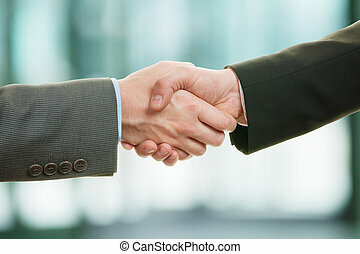 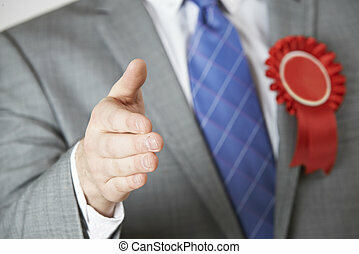 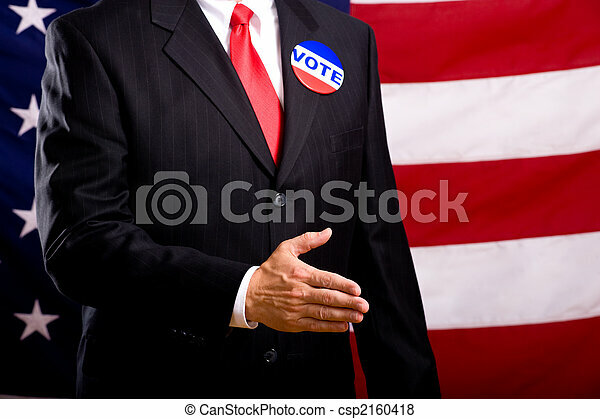 Two businessman shaking hands. 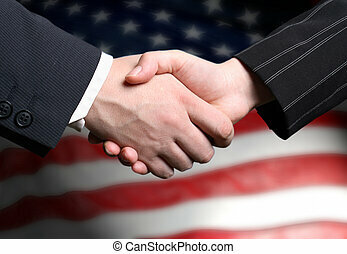 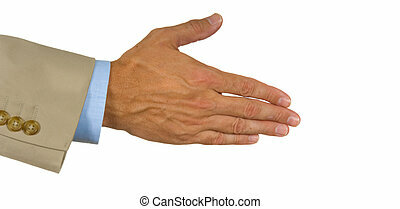 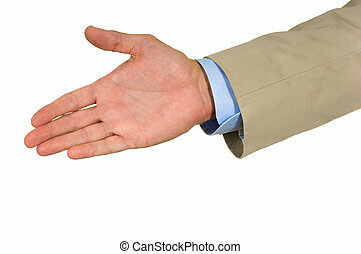 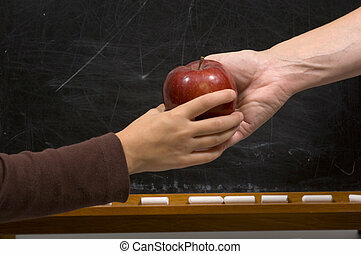 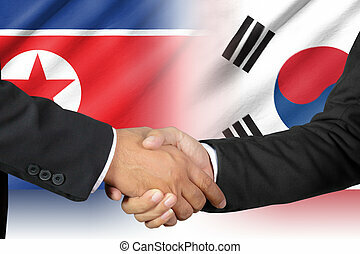 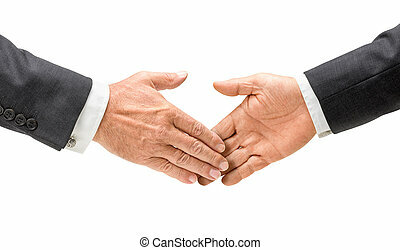 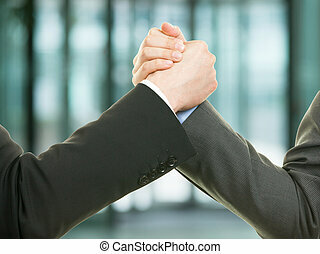 Handshake concept for successful cooperation and deal making. 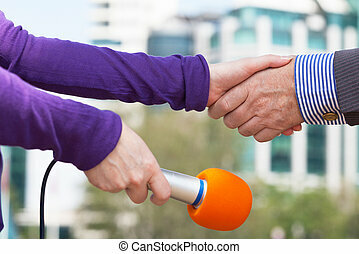 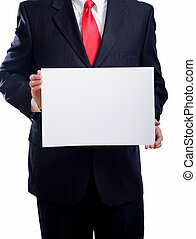 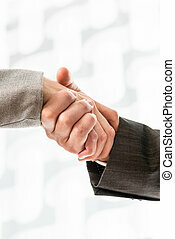 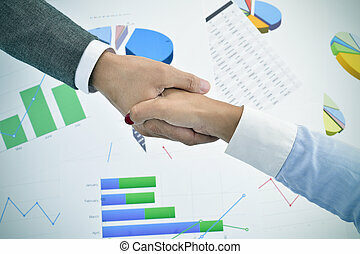 Businessman and businesswoman in suits shaking hands over a blurred abstract background conceptual of a deal, agreement, partners or greeting, vertical format.